Stina is a fashion designer and textile artist specializing in upcycling and dressmaking. Owner of ARTeries Mobile Boutique, and designer of clothing line ARTeries by Stina. BFA in Sculpture and Fibers. Varian Brandon started knitting at eight. A trip to the islands of Great Britain rekindled a love of color and created an interest in the traditions of Fair Isle design and construction. Following that inspiration, she is now designing stranded colorwork patterns for several yarn companies, international magazines, and her own website. Currently living in Saluda, North Carolina, Varian has been teaching stranded colorwork and related knitting techniques at local yarn shops, regional fiber festivals, and for the past fourteen years at the Kanuga Knitting and Quilting Retreat in Hendersonville, North Carolina which she coordinates. Danielle Burke received a BFA in Fiber Arts & Humanistic Studies from the Maryland Institute College of Art before moving to the Asheville area. Thanks to a Windgate Fellowship, her current work focuses on historical weaving patterns from the Southern Highlands region of Appalachia. With Local Cloth she is hoping to bring in the wider community for various events and engage in the question of why we make. 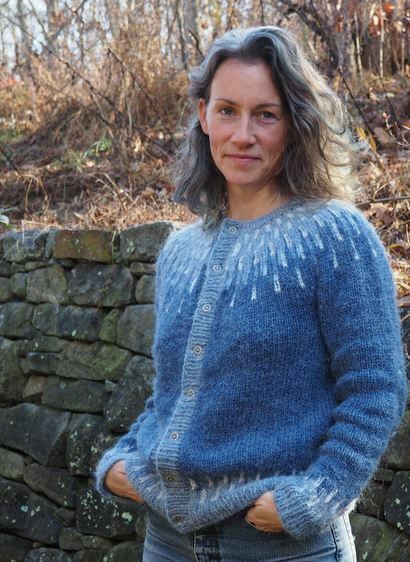 Erin E. Castellan currently lives in Western North Carolina where she splits her time between a studio art practice, teaching workshops, and running a small knitwear business. Erin creates colorful, painterly collages using hand-embroidery, knitting, beads, and various found and painted fabrics. She fully embraces thread and other textile materials as her “paint” and enjoys the expressive range these tactile materials can offer. Erin received a BFA in Textile Design from the Rhode Island School of Design, and an MFA in Painting from Indiana University. She was a 2012-2013 Artist-in-Residence at Arrowmont School of Arts and Crafts, and a 2016 Society for Contemporary Craft LEAP Award Finalist. Recent teaching experience includes Arrowmont School of Arts and Crafts, Peters Valley School of Craft, Snow Farm, and Warren Wilson College. Christina Danaee is a knitwear designer living in Asheville, NC. She has been designing original knitwear since 2011. She believes knitwear should be fun, functional, comfortable and contemporary. Most of her design inspiration comes from the yarn itself, she has spent a lot of time learning about the journey of the fiber, the animal or plant that grew it and all the people along the way that made it possible. With each pattern she designs she hopes to highlight the features of the yarn that make it special. 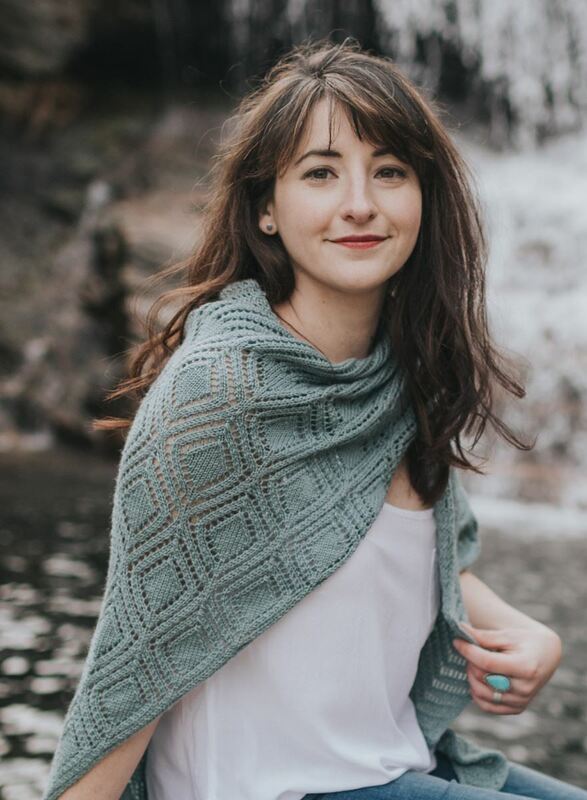 She has been published in pattern collections from Pom Pom Quarterly and Knit Picks, and has her first book of knitting patterns coming Fall of 2019! Karen Donde weaves garments, fashion accessories and home textiles for sale and teaches beginning-advanced weaving classes and assorted workshops for guilds and conferences. Teaching credits include HGA’s Convergence, Southeast Fiber Forum, Mid-Atlantic Fiber Association and Florida Tropical Weavers Conference. 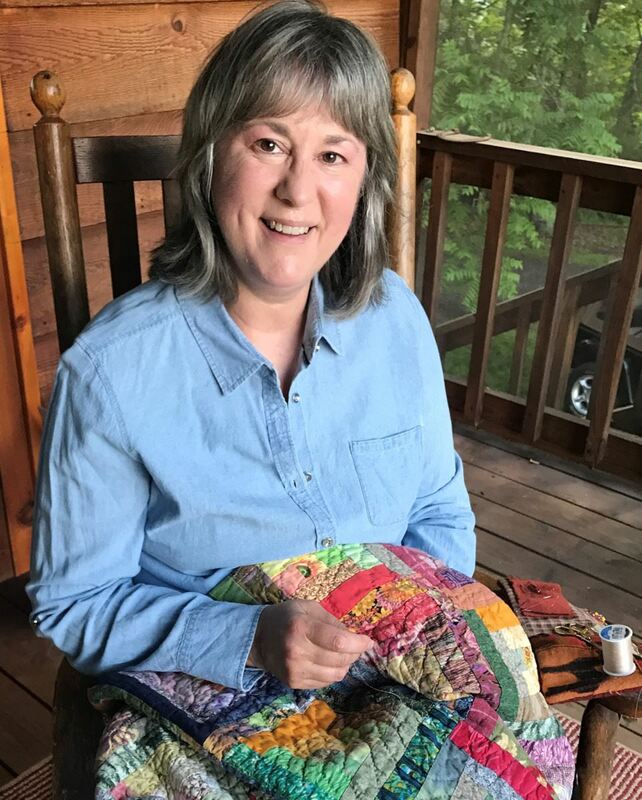 Living in Western North Carolina, she has taught locally at weaving and yarn shops and currently offers classes at Local Cloth. Donde is a juried member of the Southern Highland Craft Guild, graduated in 2013 from Haywood Community College’s Professional Crafts-Fiber program and earned HGA’s Level 1 Certificate of Excellence in Handweaving. 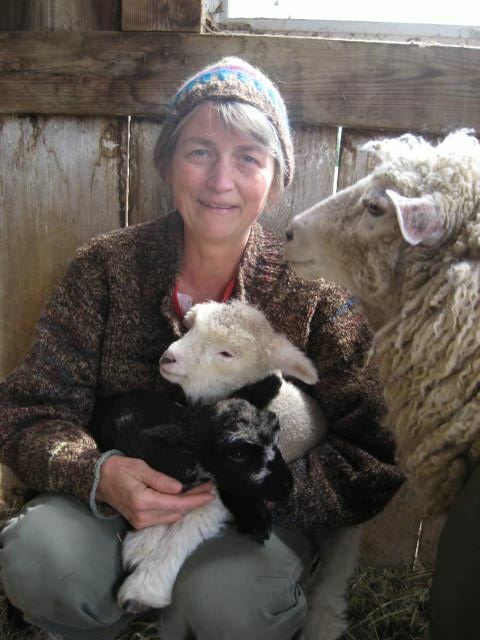 Mary's fiber journey began in 2005 when she and her husband raised a herd of 25 alpaca. Her fiber obsession quickly expanded to wools and silks. 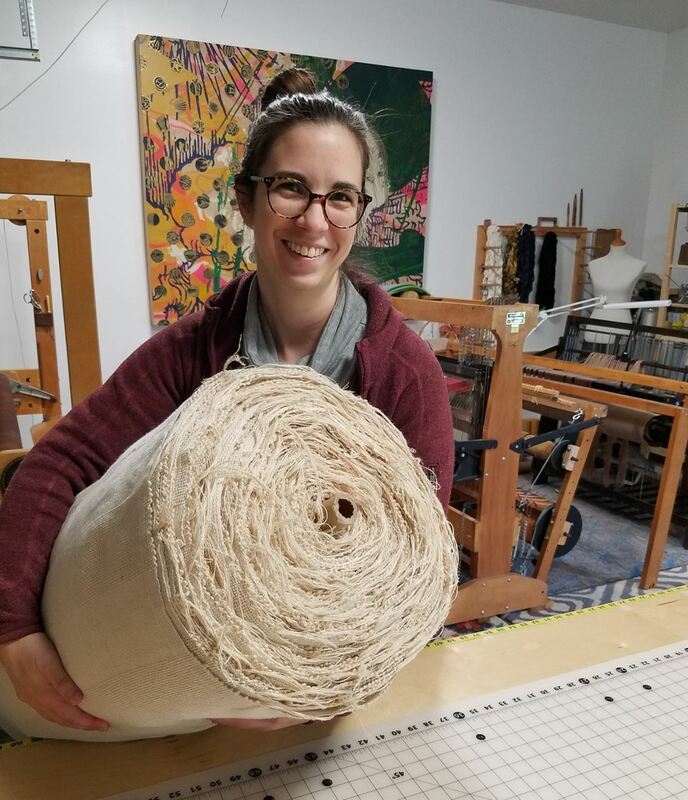 A physical therapist since 1995 and a natural born researcher led her on a quest to spin a balanced yarn and developed the Eszee Twist tool and Yarn Planner. Mary owns Camaj Fiber Arts and The Spinning Box. She lives in sunny Florida with her husband, three daughters and 7 grandkids. 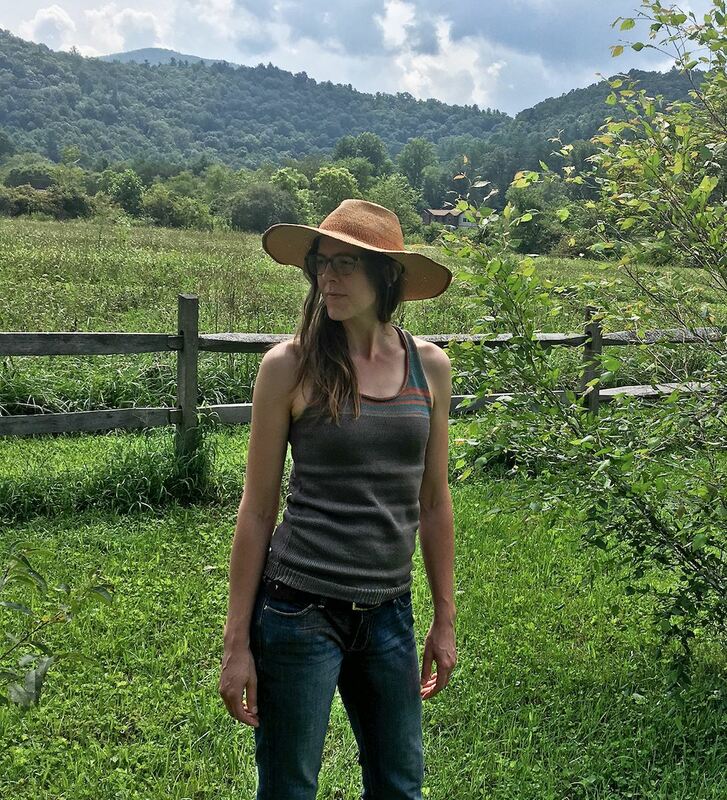 Along with my husband Brad, we run a farm in the hills of East Tennessee. The farm includes a large herd of alpacas, one very big llama, a fiber mill catering to the local fiber farms and a vineyard. Our business has grown from a herd of 18 alpacas in 2014 to almost 40 today with the main driving force being the love of the animals. They are our life and we enjoy each day with them. Chad Alice Hagen has two big loves in her life - bookmaking and textiles, especially the resist dyeing of felted and woven wool. She has been exploring resist dyeing and surface design on felt since 1979 and exploring the book structure since the turn of the century! Combining these two interests gave her the tools to begin her exploration of making books featuring textiles, handmade or rescued, as the covers. She received her BA and MS degrees from University of Wisconsin - Madison and her MFA from Cranbrook Academy of Art. Her felt work has been on the covers of Surface Design Journal, Shuttle, Spindle & Dyepot, and Fiberarts magazines. 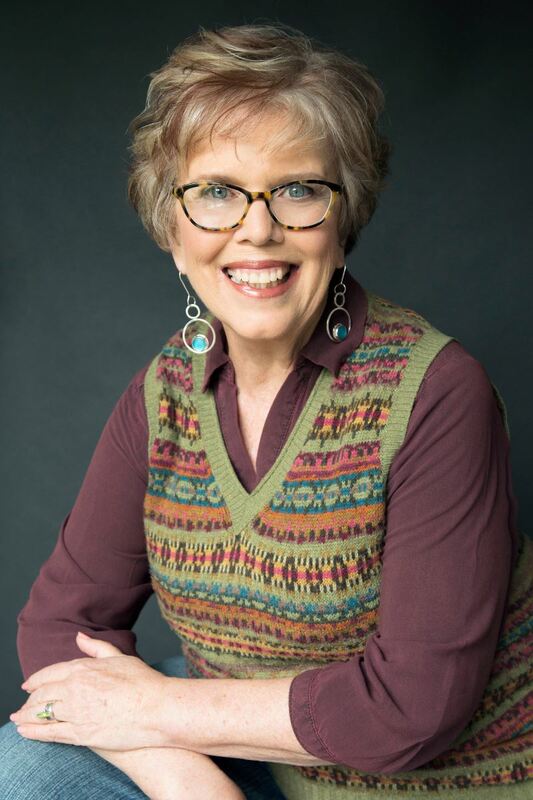 She has written three books about feltmaking - Weekend Crafter: Feltmaking Fabulous Felt Hats and with Jorie Johnson - Fabulous Felted Scarves (Lark Books). She is currently working on a book about resist dyeing on wool or perhaps about aliens. 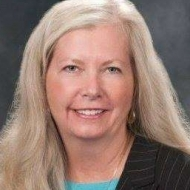 During Dr. Haas-Haseman’s professional career, she has spoken nationally and internationally to various audiences relating to clinical management, integrative medicine, and numerous healthy life style topics. 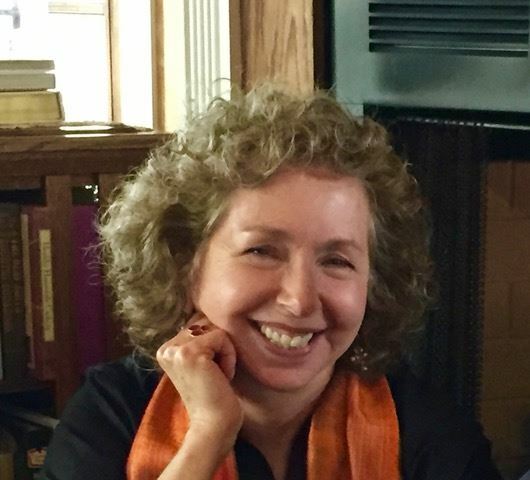 Dr. Haas-Haseman has experience with numerous crafts including weaving both on and off the loom, stain glass, and knitting. Marilyn loves to combine these skills to make wall hangings, clothing to wear, or simply fun things to play with. She loves to recycle items and bring things back to life! 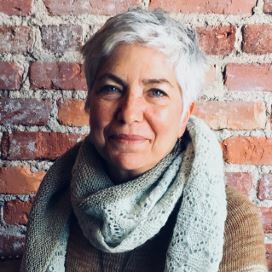 Eileen Hallman has been spinning, weaving, and dyeing cotton for over 20 years, dyeing primarily with indigo and other natural dyes. She loves weaving white, but dyes fiber before spinning as well as after the cloth has been woven. As the owner of New World Textiles, LLC, she has developed a line of fabrics with some of the yarns treated to accept all classes of dyes without additional chemicals. Lorri has been spinning and knitting for over 30 years. Roughly 22 years ago she moved to Mars Hill, NC and acquired her fiber animals. She has Sheep, Angora and Pygora goats and Angora Rabbits. 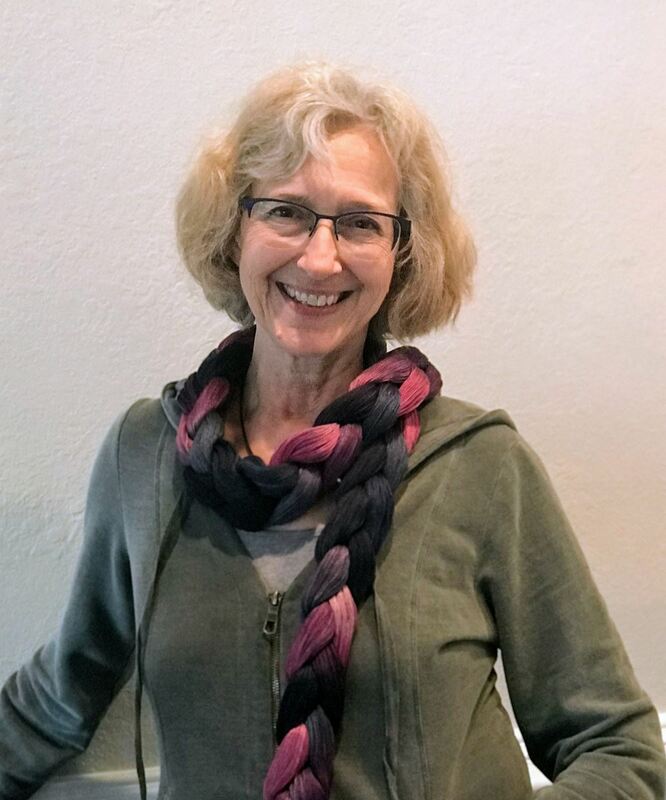 She has been teaching spinning and knitting at yarn shops in Black Mountain, weekend classes at John C. Campbell Folk School, Southeastern Animal Fiber Festival and at her studio for more than 20 years. 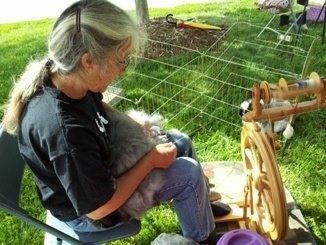 Lorri is a member of the Spinners, Shepherds and Wannabees spinning group, TKGA, board member of Southeastern animal fiber fair and past board member of SFFA. Betty Hilton-Nash has been weaving tapestry for 25 years. Her tapestry career started at Pam Patrie Studios in Portland, OR, where she worked as a contract weaver for a year on a large commission. Betty has studied with leading tapestry weavers, such as Archie Brennan, Jean Pierre Larochette, and Phillip Playe from the Gobelin in Paris. She has won awards from the American Tapestry Alliance, Handweavers Guild of America, Blue Ridge Fiber Show, and the Australian Tapestry Workshop. She is currently president of Tapestry Weavers South. I have been weaving and dyeing silk yarns professionally for 30 years. In that time I have earned a living, won some awards, and made some friends. It has been a journey of learning from other fiber artists, working in solitude to translate those experiences - making marvelous mistakes! - developing my process, discovering and setting parameters that enable me to work intuitively in a craft that really isn't. I finally accept: I'll never "get it right." It's OK to share. The work is the party. My formal education includes a B.A. in sociology and psychology (Guilford College, 1973), an A.A.S. in professional crafts/fiber (HCC, 1989/90) and a certificate in theology (EFM Program, the University of the South, 2003). I'm a juried member of Southern Highlands Craft Guild (1989), Piedmont Craftsmen, Inc. (1990), and Carolina Designer Craftsmens Guild (2000). Judi is a spinner, dyer, weaver and fiber-activist who likes yarnbombing and creating with friends in the Asheville, NC area. An economic developer with a love for rural areas and small towns, she created a rural initiative for the US Small Business Administration, consults internationally on community revitalization based on arts, founded and co-ran a fine craft gallery in Tampa’s Ybor City, served as Economic Development Director for Handmade in America, and established Local Cloth, a nonprofit to grow the fiber economy in her region. udi has taught at the John C Campbell Folk School, Haywood Community College, University of North Carolina-Asheville, various fiber guilds and at the Local Cloth studio. After graduating from the University of Tennessee, Knoxville with a degree in Crafts, Susan began teaching weaving at Southwestern Technical College (now SCC) and Haywood Community College, became a juried member of the Southern Highland Craft Guild 1983, and began teaching and immersing herself in the craft world of the Southern Appalachian region. She has served on boards of Handmade in America, Penland School of Crafts, Jackson County Arts Council and Southeast Fiber Forum. 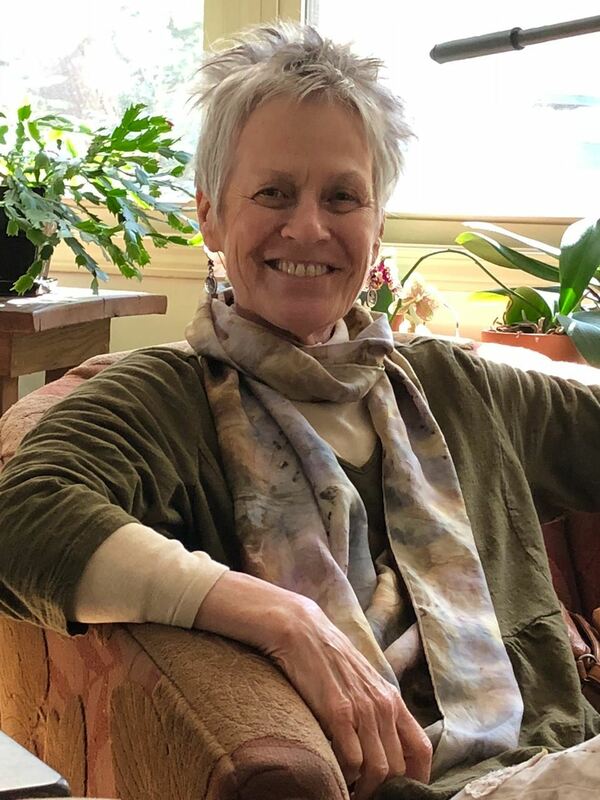 Her teaching developed to include classes at Penland School of Crafts, John C. Campbell Folk School, Arrowmont School of Arts and Crafts, the NC Center for the Advancement of Teaching as well as workshops around the Southeast, local elementary schools, private classes and lectures. Susan has sought to advance her own education in weaving and crafts at every opportunity, taking classes and workshops, attending lectures and conferences on weaving, craft history, marketing, production and retail. 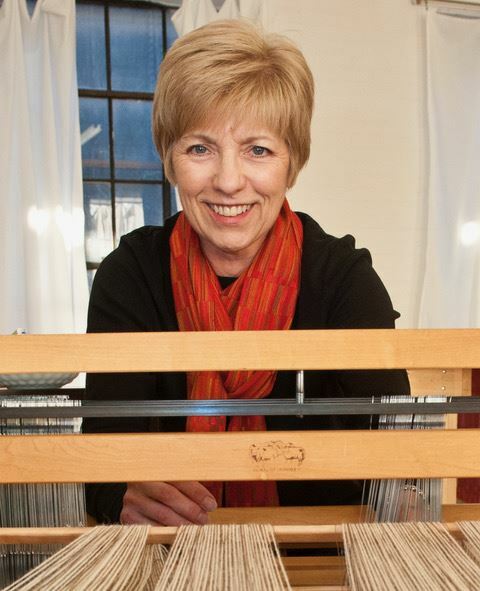 In consideration of the depth, berth and historic continuity of weaving and craft that Susan has brought to and shared with her community and region, she was honored by the North Carolina Arts Council and the State of North Carolina with the North Carolina Heritage Award in 2014. Susan Morgan Leveille was weaving by the time she was 9 or 10 years old, encouraged by her great-aunt Lucy Morgan, a supporter, educator and promoter of mountain weavers. Not a competitive person, Susan has chosen to teach and for more than 45 years she has shared her weaving knowledge with members of her own community as well as at many schools and guilds throughout the southeast including community colleges, John C. Campbell Folk School, Arrowmont School of Arts and Crafts, and Penland School of Crafts. She has focused on her craft, her retail shops, her community, and her passion: teaching others to weave. What has fueled my work for the past 20 years is my fascination of how color and texture play together. Uniquely mixing them in each of my pieces gives me great joy. Each piece is further inspired by playing with fibers that shrink against others that do not. I love the magic that occurs in the finishing process when you get to see the results which cannot be seen when creating the piece. In the end it is alchemy: each one a canvas of color and texture with the wools allowing the silks to pucker and drape creating one of a kind works of art. Deanna Lynch learned to weave at Haywood Community College, graduating in 2014. Her grandfather introduced her to weaving at the age of 9 and she has always been connected to textiles in her work. Weaving is about connecting to time and tradition for Deanna and she loves to make objects that people can use. Deanna has been weaving for 6 years and has been teaching Beginning Weaving Classes since August 2016 at Haywood Community College for the Continuing Education Department. 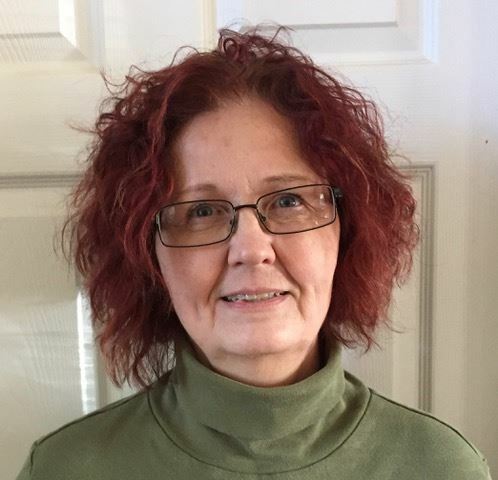 Deanna has experience teaching kids and has a certificate in Early Childhood Education. I've been an artist all my life loving every medium I encounter. It is the act of creating, the discovery of voice that intrigues me to continue. I feel privileged to share what I learn with my colleagues and students. Barbara has been a professional in the polymer clay medium for over 25 years. She has written instructional books and developed stamps for the art, clay and fiber industry. Her portfolio includes works in polymer, ceramic, metal clay and encaustic. Suzanne discovered nunofelting 10 years ago and has been passionately felting ever since. She has been a popular instructor and vendor at SAFF for several years. She has an Etsy store as well where she sells her hand-dyed wool and her carefully selected nunofelt kits. She believes that creativity heals, and encourages students to always play and follow their hearts. Suzanne has been fibers arts chair and workshop chair for the Craft Guild of Dallas and this has given her the opportunity to teach many classes. Honors include publication in Fiber Art Now magazine in 2017, being a Dharma Featured Artist, representing the Creative Arts Center on Good Morning Texas, being featured in D Magazine and participating in an instructor's show titled Process to Product. 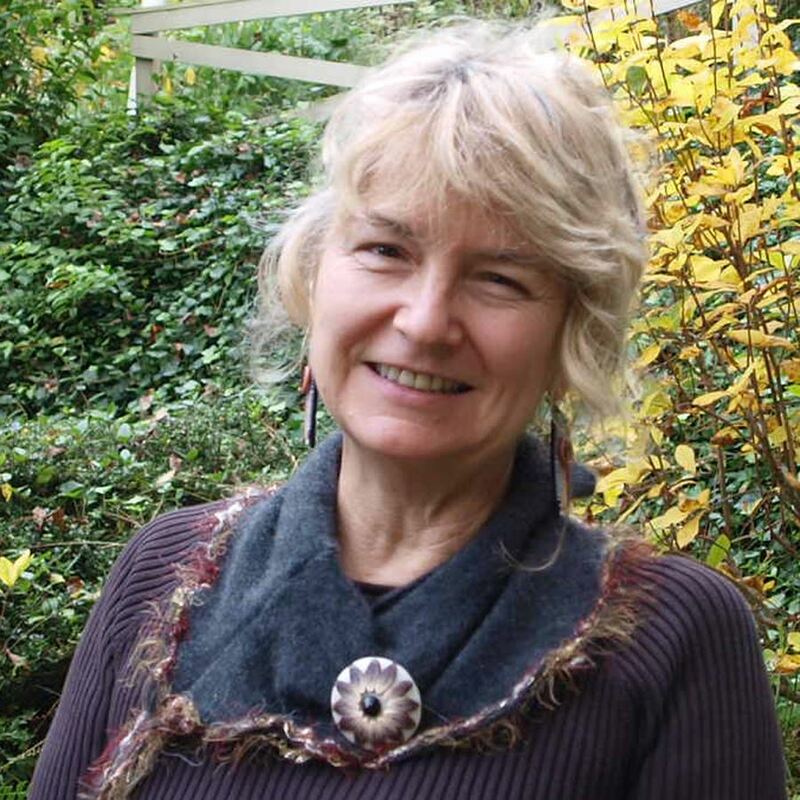 Maria began her work in the Wholistic Medicine field as a Nurse/Herbalist creating remedies, teaching Herbal Medicine, and running an apothecary and clinic. Her love of all things woolly steered her down the path to fiber arts. Her passion for herbal medicine lead her into playing with natural dyes and eco printing. She has been knitting for over 20 years, teaching for 12 years, and dyeing for almost 10. 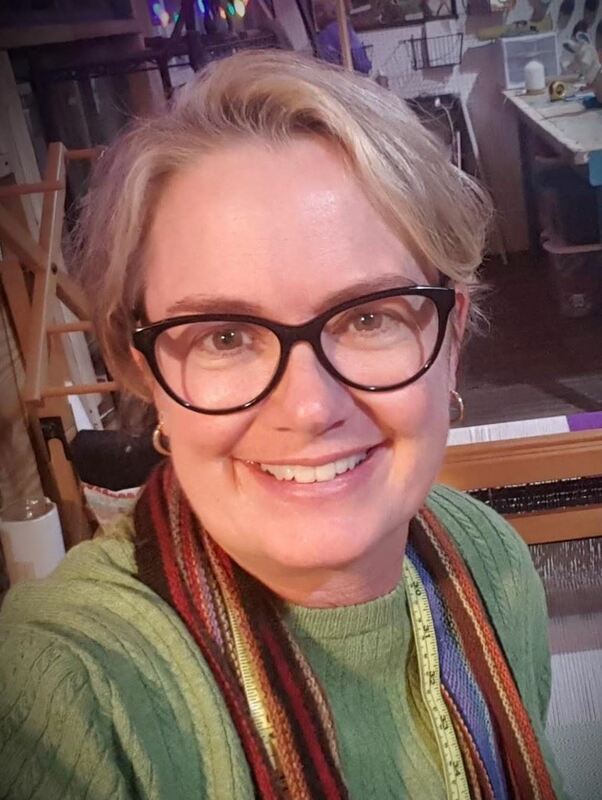 Owner of Ninja Chickens fiber arts since 2013, Natural dyer/Owner of Fern Fiber yarn company (2015 - 2017), Eco Print classes taught since 2017. Louise learned to knit and sew at an early age but didn’t find her passion for fiber art until she established Dry Creek Alpacas in 2007. Since then she has added hand-spinning, dyeing, felting, and weaving to her repertoire. In 2010 she co-launched “Only the Finest,” a line of alpaca yarns and fiber preparations that she sells to other fiber enthusiasts at farmers markets, fiber festivals, and select yarn shops. She lives and makes her art in Johnson City, TN. You can find her on Facebook @nuttlefiberart. 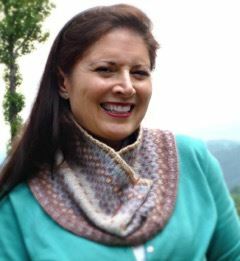 Louise is a member of The Knotty Ladies fiber guild, the Overmountain Weavers’ Guild, the Handweavers Guild of American, and the Alpaca Owners Association. She has been a member of Local Cloth since its inception. 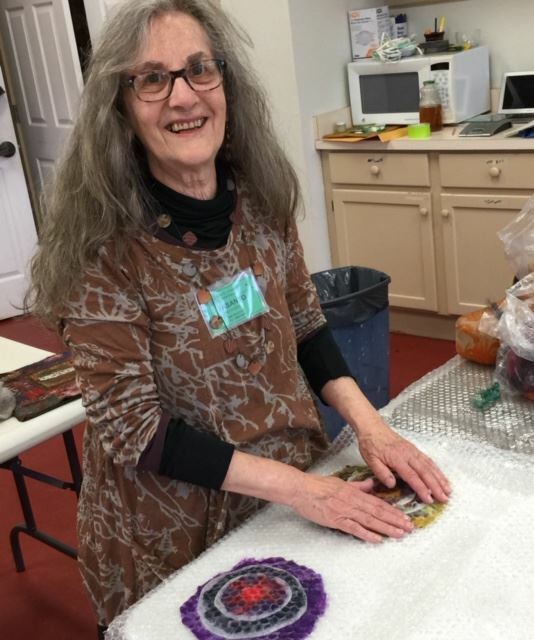 Martha is a resident artist at the John C Campbell Folkschool (www.folkschool.org) in spinning/knitting/crochet/felt making/surface design and dyeing. At the school she looks after the studio, finds and invites teachers and does some teaching herself. Her adventure in spinning began at this very school school in 1978. Since then her extended family has included sheep (mostly Corriedale, Shetland, Romney) and Angora rabbits (French). 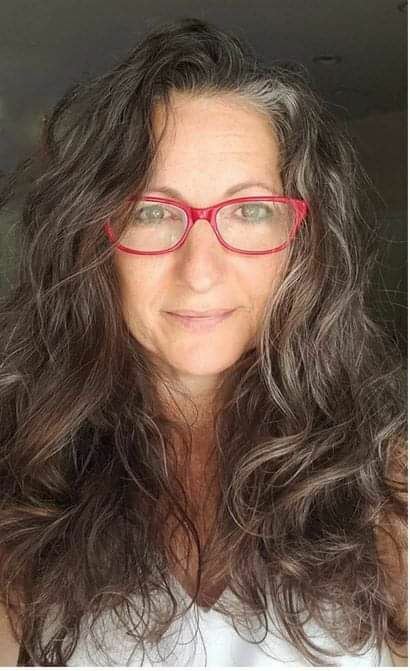 She is a member of the Southern Highland Craft Guild (www.southernhighlandguild.org), was co owner of Yarn Circle in Murphy, NC, a small retail venue that catered to fiber enthusiasts which closed in 2016. She offered a talk for the WNC Textile Study Group: From Sleeping Beauty to the Industrial Revolution and to her great delight she won recognition at the Project Handmade fashion show for best use of local fibers! She told the sheep! They chewed and said, "Aww, you got to love her, she's trying her best...baaah!" I started weaving in 1980 after my husband gave me a small table loom as a wedding present. Now over 35 years later, I’m still weaving, although I no longer work on that table loom. I weave on several different looms now, including a Swedish drawloom, which allows me to create original woven designs. I relocated to Charlotte, North Carolina in 2015 where I work from my home studio as well as a shared workspace along side other artists and makers. As I start another chapter, I wonder where my weaving will take me. I have always looked for a way to express myself through the craft of weaving. Many of these one-of-a kind weavings have been shown in juried exhibitions throughout the US. I also create a line of functional items for home and family, including placemats, napkins, kitchen towels, baby blankets, and baby bibs. Craft shops and galleries in North Carolina, Ohio, and Florida carry many of these items. Sharing what I love to do with others is an important part of what I do. I have taught at various weaving guilds as well as the John C. Campbell Folk School. I have enjoyed working with others in various textile/weaving and craft organizations at various levels of responsibility. 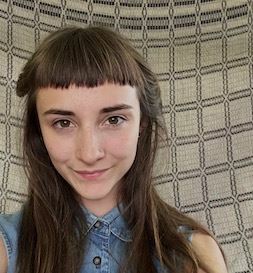 Alyssa Sacora is a maker who explores plant based mediums in the form of papermaking, book arts, basketry and natural dyes. By staying in tune with her natural surroundings, she finds inspiration and innovation while connecting with tradition. She brings clear instruction, patience, and creativity into the classroom, while inviting students to develop a relationship with the materials being used. I am a self taught fiber artist. I use a variety of fabrics and sewing techniques to create one of a kind hats, coats and jackets, purses and accessories. Recently, I have been using a lot of recycled and repurposed textiles in my work. I have been teaching various forms of creative sewing techniques for over 35 years. My work has been published in many books and I have published one of my own on fabric flower making. Over the years I have taught at many fabric shops,for guilds, as well as small group or private classes at my studio. Denise is a sewist since childhood, concentrating on hand quilting since 1992. Studying with fiber artists in North and South Carolina for the past 15 years, she now creates abstract fiber art using her photographs. Her goal is achieved if the viewer is attracted from a distance for closer inspection to question the inspiration. She has received blue ribbons for sewing, quilting and photography. 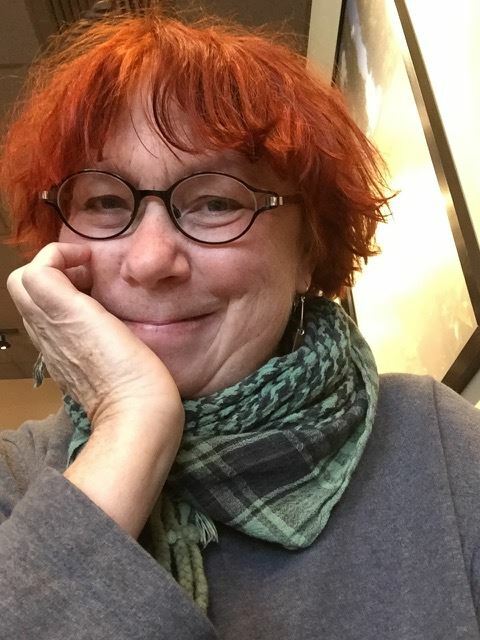 She teaches hand quilting, embellishment, embroidery, fiber collage and fiber art design. Over the years I've engaged in activities as diverse as Instructor of Photography at Georgia Southern University; owner and operator of Meisel Graphics--a six-color screen printing business; practitioner/owner of Therapeutic Massage in Oak Hill West Virginia; and now full-time artisan at The Language of Leaves in Asheville. As an old tree-hugger, I'm so happy to be involved in eco printing for it satisfies my need to create beauty while also adhering to sustainable, environmentally friendly practices. I have studied with internationally acclaimed eco printer Irit Dulman; Michel Garcia, natural dye/indigo master; Catherine Ellis and Dede Styles. Currently I participate in a number of juried Art Shows in Western North Carolina. In 2016 and 2017 my work was awarded "Best of Show" at the Montford Art and Music Festival. In addition I teach eco printing at several venues and offer both private and public sessions. 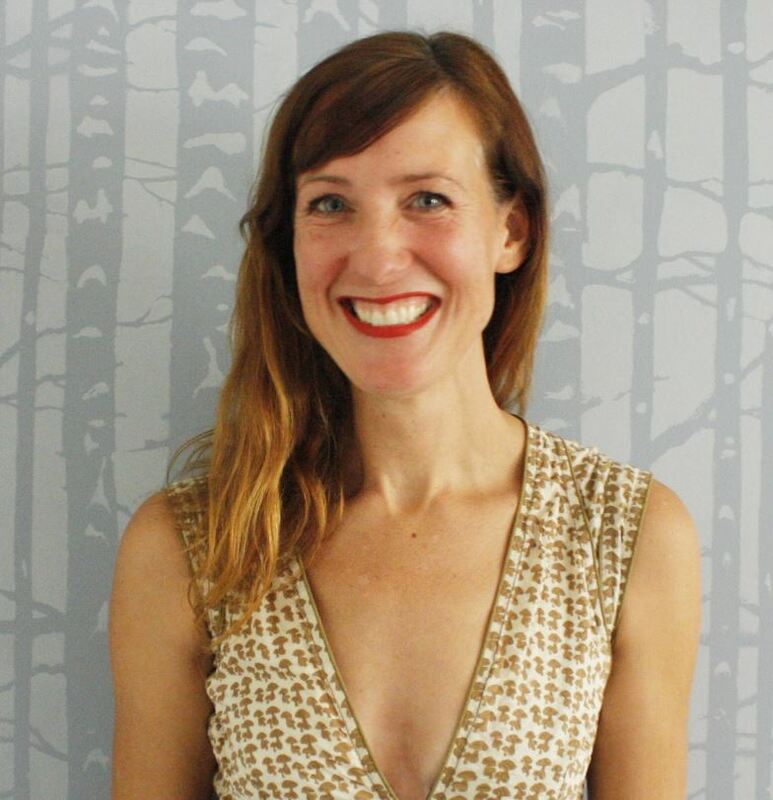 Jen Swearington is the founder and chief designer of Jennythreads, a small Asheville-based artisan fashion line, and author and illustrator of "Printing on Fabric," a comprehensive textile design manual. Throughout her career, she has also actively exhibited her fine art in galleries and exhibitions and taught at Arrowmont, Penland, UNC Asheville, and the Savannah College of Art and Design. She also travels periodically to art residencies in Europe and Latin America to develop new drawings, papercut artworks, and textile designs for Jennythreads products. 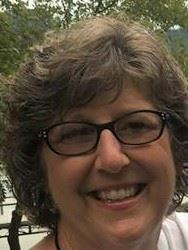 After living and teaching around the world for 30 years Joyce is happily settled into life in lovely Western North Carolina. Her travels have exposed her to many fiber traditions and she has always found groups of fiber folks wherever she was to share her making with. 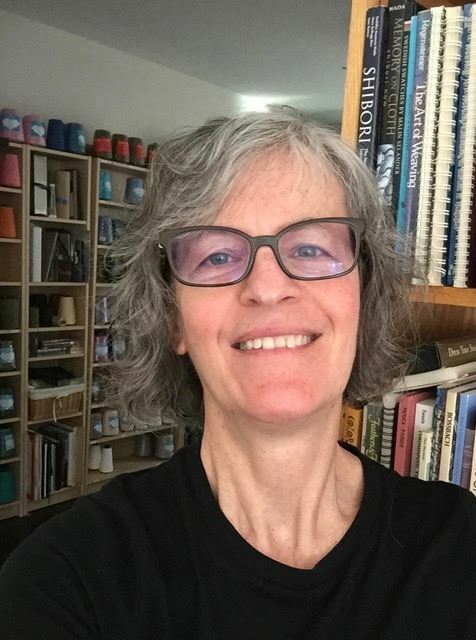 Joyce has 20+ years teaching design, sewing, knitting, quilting and bookmaking to High School students and adults. She has studied fiber and book arts at Penland, Arrowmont and the Center for Book Arts in New York City. She dyes and sells plant dyed yarn and eco printed bags at her Etsy shop: FreehandFiber You can also find her on Instagram and Facebook as Freehand Fiber and Book Arts. I have been working with wool and color since learning to knit as a child. I use wet-felting techniques for hat-making, bags and wall hangings. I use nuno-felting to make flexible fabrics for scarves and clothing. I also dye my own wools and silks to use in my work. I have studied with Beth Beede, Chad Hagen, Jean Hicks and others. I have taught in many settings, including the Southeaster Animal Fiber Fair (SAFF). I also teach in my own studio. Kathrin has been a full time, self employed fiber artist since 1980. She lives in the western mountains of NC and is known for her colorful hand-dyed yarn and handwoven fabrics. She has marketed through national level craft shows, galleries, and commissions. 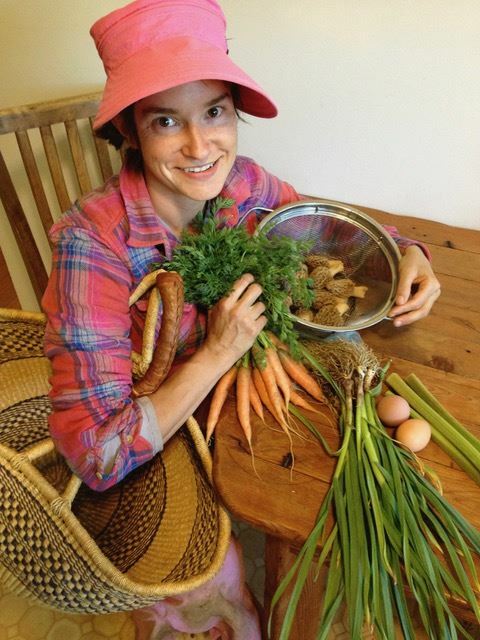 Kathrin teaches weaving and dyeing workshops throughout the US at guilds, conferences, retreats and personal studios. She has a fearless approach to using color and guides her students into "informative play" and nontraditional weaving techniques while designing, weaving and dyeing.